I’ve got REF outputs and milk chocolate, and I’ve even got a WordPress blog indeed. For the first time in my life, I combined a brief foray down to Wiltshire with an advance early morning pre-opening booking to go inside the stones of Stonehenge. For the record, I drove an Astra (a car you can trust). 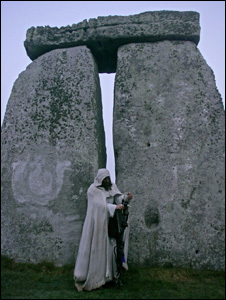 Never mind the car, let’s talk about the henge. In all fairness, you can strike out in pretty much any direction from Stonehenge and hit archeological gold – although you may not always recognise it as such. Just be careful not to wander into the path of the military (who train on Salisbury Plain). If you’re cycling, be sure that you’re properly prepared for historically significant (but nonetheless unexpected) bumps and tumbles! Woodhenge, less than four miles from Stonehenge, is an odd sight at first glance. However, once you understand what you’re looking at, it becomes much more impressive. It’s thought that this was once a large burial mound with a complex system of banks and ditches (now eradicated through ploughing). Thousands of years ago, six concentric rings of wooden posts may have supported an enormous building. Today, the position of these posts are marked with stumps. It’s an atmospheric and very interesting place! A short walk away from Woodhenge is Durrington Walls – a recently discovered monument which in its heyday would have dwarfed Stonehenge. The ‘Walls’ were formed by lines of enormous stones, which could possibly have formed a processional way leading to Stonehenge itself. There’s not masses to see there now, but it’s still a lovely area! West of Woodhenge is the Cuckoo Stone – a sarsen boulder lying on its side. It was once a standing stone, the origins of which remain a matter of debate. It’s an enigmatic piece of history in a very atmospheric location. Old Sarum is a wonderful visit for anyone with an interest in history. It’s the site of Salisbury’s oldest settlement – a hilltop fort commanding absolutely incredible views over Wiltshire. There’s an iron age hillfort to walk around, the remains of a castle to admire, and an absolutely breathtaking panorama which will give the camera-happy everything they could ever dream of. There are also plenty of events put on by English Heritage throughout the year, giving people the opportunity to really step back in time! Down in Salisbury itself, the Salisbury Museum is packed full of fascinating finds from all over the county. It’s a well laid-out and beautifully explained museum, with some truly intriguing exhibits. You can find it just opposite Salisbury Cathedral – which it itself a beautiful and interesting building. A 40 minute or so drive from Stonehenge is Avebury. Managed by the National Trust, this ancient stone circle sits in a Neolithic landscape incorporating avenues of standing stones, a henge, and an enormous stone circle in which a village was once situated. The stone circle itself is the largest in the world, and contains two smaller circles. A short walk away is West Kennet long barrow, which can be entered by those who are neither claustrophobic nor fearful of our long-dead ancestors! Then, of course, there are the round barrows with which the landscape is littered, and the curious structure of Silbury Hill. Silbury Hill is the largest prehistoric mound in Europe, and would have taken similar effort to construct as its contemporary pyramids in Egypt. It was clearly important to those who built it – although, unlike most barrows of its kind, it contains no burial. Its purposes remain perplexing, but its presence is both beautiful and fascinating! Anyone with an interest in Stonehenge and its ilk, particularly those who enjoy the mystery of the structure, will find much to whet their appetites at Avebury and Silbury!